Wapello Elementary would like to cordially invite parents of incoming Pre-Kindergarten and Kindergarten students for the 2019-2020 school year to our Early Childhood Open House to be held on February 20, 2019 from 5:30-6:30 p.m. Parents and students can meet the teachers and tour the facilities that are used in our Early Childhood Programs. Early Childhood Programs at Wapello Elementary provide a Nurturing Environment that Fosters Creativity and Neurological Development. Wapello Elementary is proud to offer a FREE State Certified Pre-School that is open to ALL Children that turn 4 years old by September 14th. Pre-School is offered 5 full days each week along with All Day Kindergarten. Come find out more about our Pre-School and Kindergarten Programs at our Open House on February 6 from 5:30-6:30 p.m. The Wapello Elementary Pre-School is a State Certified Program that is open to all 4 year olds. The classroom follows developmentally appropriate standards and is based in exploration, social, and cognitive development. The Pre-School Curriculum is designed to allow students to investigate, explore, and discover. Students will expand their skills and knowledge in a safe, nurturing environment. Cara Kiesewetter is in her 20th year of teaching. She has taught in the Wapello Community School District for 10 years. She attended Indiana State University where she received a Bachelor of Arts in Early Childhood Education and Elementary Teaching. She has since received her Special Education Endorsement from the University of Northern Iowa. 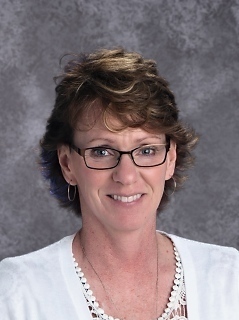 Mrs. Kiesewetter has created a joyful, student-centered classroom where children have meaningful learning experiences that prepare them to be successful in school. Through differentiated instruction and personal education plans, each student's needs are met on an individual level. The small student-to-teacher ratio allows for individualized instruction and intervention to further a student's learning. 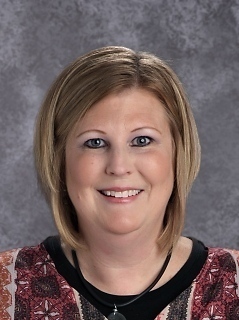 Amy Burke has been teaching Pre-Kindergarten for the past two years and had previously taught Kindergarten at Wapello Elementary for 16 years prior to the move to Pre-Kindergarten. She received her degree from the University of Northern Iowa in Early Childhood Education. Her classroom is welcoming to all students, and all student's needs are a priority. Mrs Burke has made it a priority to prepare all students for the rigors of Kindergarten. The Wapello Kindergarten programs offer two student-centered classrooms where exploration and investigation allow for the continued social and cognitive development of all students. Our teachers begin to integrate skills from all content areas into developmentally appropriate activities designed to meet the needs of all children. Through theme-based units, the Phonics-Based, Really Great Reading program, manipulative math, and technology time each day, students are allowed to develop their cognitive abilities and prepare for the primary years. 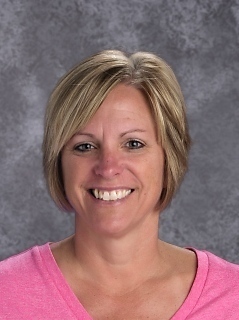 Ms. Teresa Good has taught Kindergarten for two years at Wapello Elementary. Prior to her assignment in Kindergarten, Ms. Good has taught a combined 10 years in both Pre-Kindergarten and 6th Grade. Her education background has a focus in Early Childhood Education and Elementary Education. Mrs. Beth Hines has taught Kindergarten for 26 years. She has also spent her entire career in the Wapello School District. 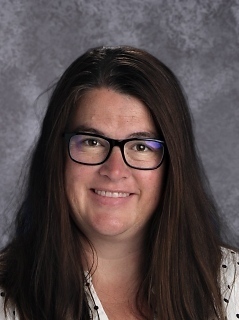 Mrs. Hines attended the University of Iowa, where she graduated with a Bachelor of Arts in Elementary Education with a specialization in Early Childhood Education. If you have a child or know someone that has a child that would qualify for Pre-Kindergarten of Kindergarten in the fall of 2019, please consider attending our Open House to see what our program has to offer your student. We look forward to seeing you on February 20, 2019 from 5:30-6:30 p.m. at the Wapello Elementary School, located at 505 North Cedar Street in Wapello.